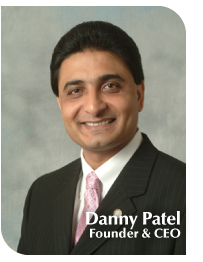 Founded by Danny Patel in 1989, PeachState Hospitality began with the acquisition of a 16-unit, independent motel in Montezuma, GA. From these unassuming beginnings and with the help of friends and family, Mr. Danny Patel has aggressively developed over 50 franchised and independent hotels throughout the southeastern United States. During this expansive growth, Mr. Patel and his team mastered every facet of modern hotel development, construction and management, providing for the foundation and inception of what is now a first-rate, multi-unit hotel management and development company. PeachState Hospitality continues to grow in the select-service market, currently with over ten hotels in various stages of development and construction. With a focus on new-build properties, PeachState Hospitality consistently develops quality hotels in every market it enters. Going beyond the requirements of each brand, PeachState ensures its guests comfortable accommodations in inviting surroundings with gracious hospitality. Danny is also a founder of the American Pride Bank (AmericanPrideBank.com) a community based bank, which has branches in Macon and Warner Robins, Georgia. Danny currently serves as the bank’s chairman. With over twenty-five years of experience, the PeachState Hospitality team has significant experience in all aspects of the hospitality industry, including acquisitions, dispositions, renovations, finance, construction, planning, development, design, accounting, cost control, and management. These industry strengths are upheld through continuous recruitment and training, which maintains the highest level of customer service and team member development. Our many years of experience provide investors with profitable business opportunities that will withstand any economic downturn. Each project at PeachState is designed and constructed to maximize investor value. We couple our expertise in the hospitality field with investment in service-driven brands that continually outperform the competition. Thus, we guarantee our investors long-term profitability by targeting these brands in geographic locations with sustained customer demand. To further our prominence in the lodging industry, we at PeachState Hospitality continuously forge partnerships with only the most reputable companies, institutions, and individuals. We enjoy excellent relationships with the major lodging companies including Best Western, Carlson, Choice, Inter-Continental, Marriott, Starwood and Wyndham. By carefully aligning with these select franchise partners and with lenders, investors and team members who share our long-term commitment to customer service, we can sustain the momentous growth that we have experienced over the past several years and deliver exceptional returns to our investors. Much of PeachState Hospitality’s success may be attributed to our dedicated commitment to maintain the quality and high standards of our hotels throughout their existence. We believe that each guest should experience a hotel that is clean and fresh. Performing these industry basics ensures that every hotel in our portfolio, whether it is brand new or more established, exceeds the expectations of our guests, team members, and investors. In addition to our attention for detail, PeachState Hospitality employs team members that demonstrate their ability to add value at all levels of our organization—from the boardroom to the day-to-day basics of hotel operations. We further equip our associates with the tools and fundamentals that allow them to anticipate and deliver any and all needs of our guests. By empowering them with the accountability of guest satisfaction, we not only build consumer loyalty but also develop our team members’ ability to enhance overall profitability. Our executive staffs’ thorough understanding of the interrelated processes that comprise hotel operations ensures that each hotel achieves the highest performance of top line sales, bottom line profits, and the proper balance between controlling expenses and delivering exceptional service. Divine Development Group (DDG), a sister company to PeachState Hospitality, LLC, is a premier construction and development company. Founded in 2000 by Danny Patel, DDG offers full construction and development expertise and experience in the hotel industry. Under the hotel development expertise of Danny Patel along with Bobby Patel’s experience and masters in electrical engineering, DDG has developed more than 20 hotels. DDG is also a state approved general contractor. Today this company is developing all of PeachState Hospitality’s hotels.